PLEASE NOTE: Limited to 50 entrants max, no exceptions ! 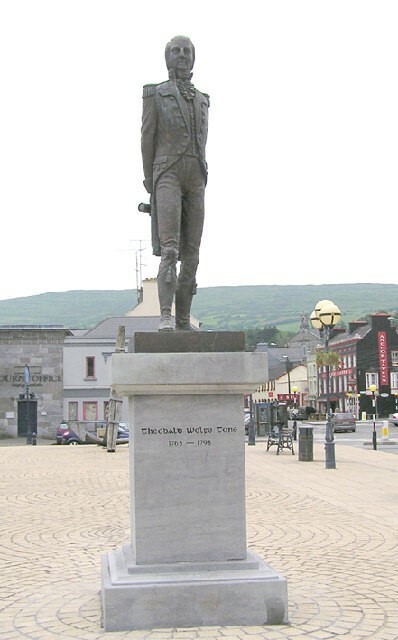 Wolfe Tone famously wrote “we were close enough to toss a biscuit ashore” with regard to the failed 1796 French Armada which saw 43 ships stranded in Bantry Bay. The mission on the day was to introduce French troops to rid Ireland of English rule. A biscuit toss is how close we came to being; fluent French speakers, Brexit not being such a big issue, our diet of bread and spuds would have been replaced with Haute Cuisine and Napoleon would have sorted out our potholes two hundred years ago. It is with some sense of irony then that the 200km West Cork Audax route is being organised by an Italian Londoner with a Rose tattoo. 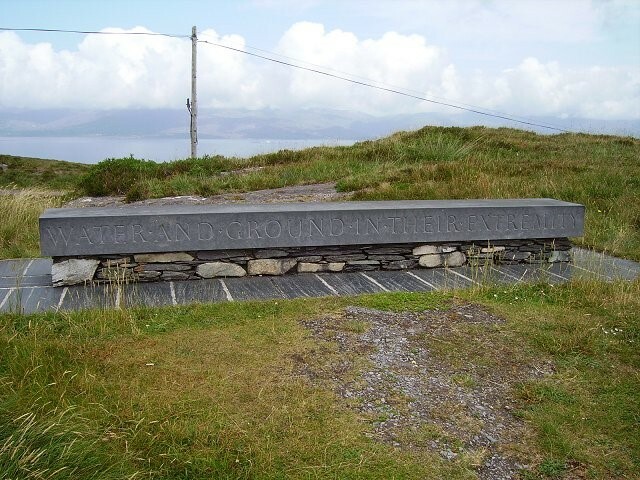 Starting in Bantry Town at The Maritime Hotel, the route introduces riders to the world famous Bantry Bay, past the failed biscuit throwing site of Wolfe Tone and down the Goats Path on the Sheep’s Head peninsula. On this route big climbs are a sensory pleasure and the climb up to the viewing point over Kilcrohane gives panoramic views of both Dunmanus and Bantry Bays. On a clear day the view includes mountains, peninsulas and ocean stretches for miles. To the West, New York is the next parish. This inspired the placing of a slate bench bearing Seamus Heaney’s words “water and ground in their extremities”. Following the hairpin strewn descent into Kilcrohane the route flattens out and heads inland along Dunmanus bay passing Ahakista (and Graeme Norton’s West Cork home). 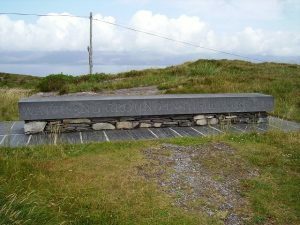 Riders then head back to sea following the coastal roads of the Kilmore Peninsula, most famous for having Mizen Head at its roads end. The route does not take in the Head but instead shifts south to Roaring Water Bay and takes in some of the most beautiful towns and villages West Cork has to offer. 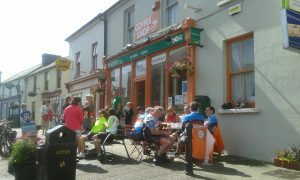 A stop at ‘Along the Way’ café in Goleen is advised as they empathise with the woes of Audax riders and they will give you an understanding nod as your legs rest and your belly is filled. Historic Skibbereen roughly marks half way and heralds the end of the Wild Atlantic Way route and heads for the inland section of the route. Here well known local cycling routes converge to bring the rider past many prehistoric sites, megalithic round forts and views aplenty. Two big climbs left to tackle, first the Cousane Gap which rewards the rider an 8km freewheeling opportunity. Kealkil is at the bottom where refreshments can be secured before the last hilly 40km are tackled. Topping out at 345m this is inland West Cork at its best. Riding up to the top of Nowen Hill, the road cuts deep into the hilltop exposing its rocky innards at either side. This claustrophobic roofless tunnel opens wide when the bend in the road reveals the green lands below and signals that riders have a final 27km to home with 604m of descent (280m of up). And so the end is in sight for this Audax Armada where it is hoped each rider’s invasion of Bantry is a success. Returning back to the cycling friendly Hotel, the Maritime offers us free use of their showers. They also offer food (which is highly recommended), respite, gym, bar, hot tub, sauna, pool, etc. Possibly the perfect end to what is possibly the perfect Audax. This is a self-supported event; riders should bring or buy their own supplies.